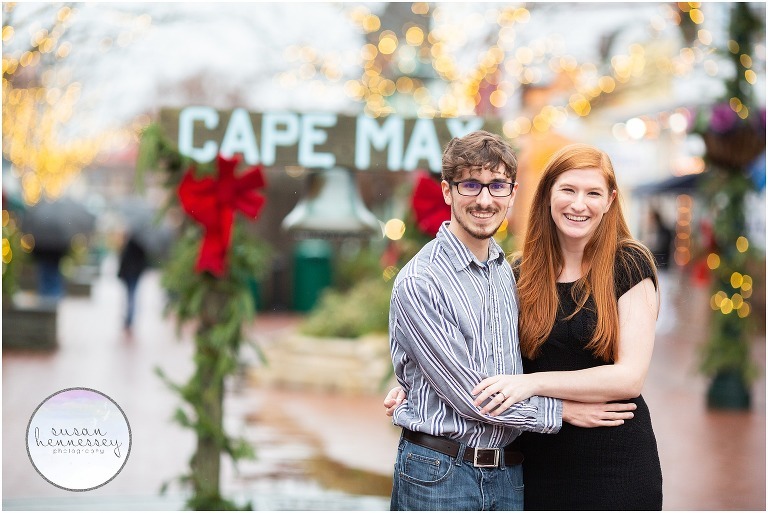 In December, I photographed Julia and Franklin’s Cape May winter engagement session. I can’t ever say enough how much I love and adore Cape May and this was my first time there during Christmas! 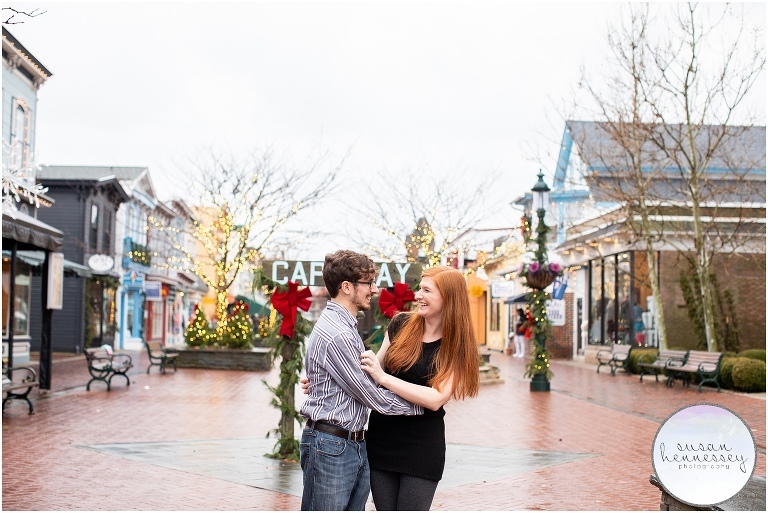 The lights were so beautiful, you would never know we photographed this session on a cold and rainy day, I truly enjoyed photographing this winter engagement session so much! Franklin was a close friend of Julia’s older sister for many, many years. They had met a long time ago when she was still young and she had a huge crush on him! They reconnected when he moved down to Virginia Beach for work and she moved down for college. They became best friends almost instantly. Their first date was September 27th, 2014. Franklin took Julia to the oceanfront of Virginia Beach during a huge festival. They spent the night walking throughout the stalls and along the beach. The night ended with fireworks and that’s when they shared their first kiss. Julia knew very early on that Franklin was the one since they balance each other out perfectly. He keeps her grounded when she gets stressed out and is always extremely supportive. 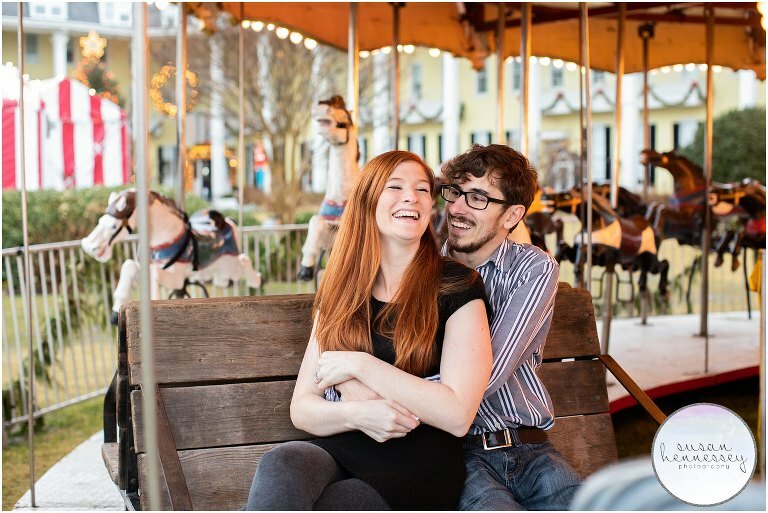 Julia and Franklin are planning a classic wedding at Greate Bay Country Club this May! When they are not wedding planning, they love playing games together and playing with their dog. Once married, their dream is to travel as much as possible. Once they live out that dream, they want to settle down and have kids. I would definitely say have a good support system!! My brother in law and my sister have been a huge help in all of this. Juggling a wedding and going to graduate school is definitely a handful! Being surrounded by people who have your back is the best thing in the world. I cannot wait to see Franklin’s face as I walk down the aisle. He is often so stoic. I cannot wait to see how he is on our wedding day. 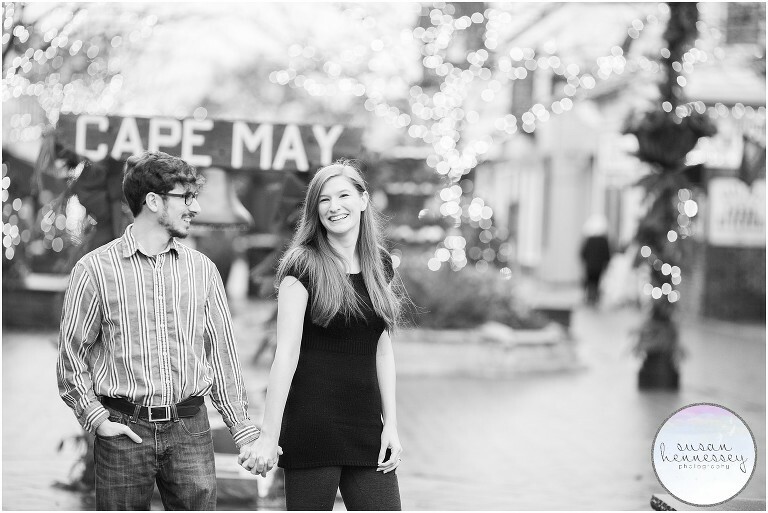 Are you planning a Cape May winter engagement session? If so, click here to view all my Cape May sessions for more inspiration and if you’re ready for more info, click here to fill out my contact form!